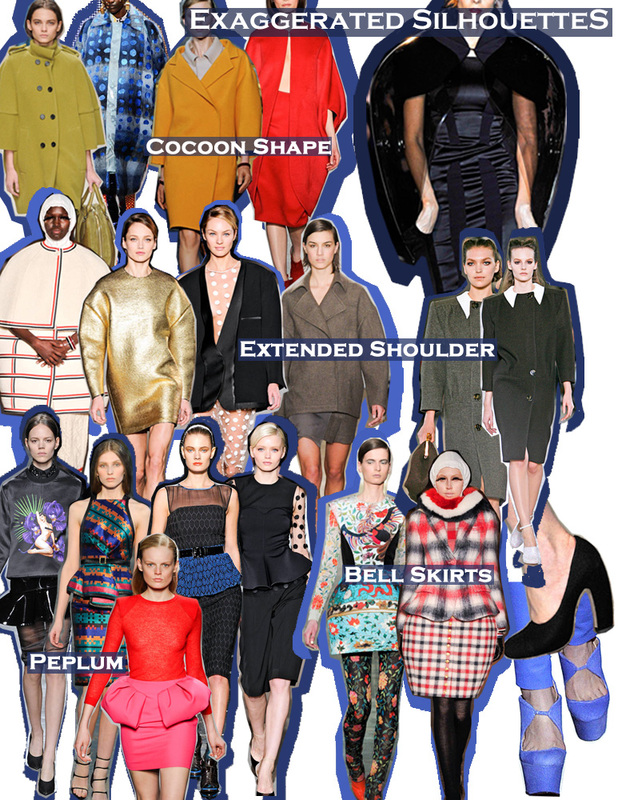 A new idea in shape has made its way onto the runways for the Fall season. With a nod to the past (1960′s) and a nod to the future, designers experimented with exaggeration in their silhouettes. The COCOON SHAPE was seen mostly in outerwear with some designers such as Jil Sander also showing dresses. Thom Browne was a leader in this movement with his show primarily concentrating on these exaggerated ideas. Other designers such as Burberry, Jil Sander, Prada, Marc Jacobs, Acne and Fendi also followed suit. This idea will be mostly translated in outerwear and suiting, worn by only our most fashion forward. Stella McCartney and Miu Miu showcased a new idea with the shoulder dropping and extending out creating a warrior type feel with some of the shapes. Stella focused primarily on this cut with jackets and dresses and Miu Miu channeled the 1940′s with super squared off wide shoulders within dresses. Although this look isn’t for all, it most likely will be translated in simple ideas such as tshirt silhouettes and edgy blouses. Expect to see a lot of this look from the hipster crowd in oversized tees, dresses and woven blouses. The bottom half of the body also was a focus with PEPLUM skirts and BELL skirts putting emphasis on an extension of the hips. We saw this from Mary Kantrantzou, Giambattista Valli, Stella McCartney, Thom Browne, Lanvin, Proenza Schouler and Givenchy. This idea is the most translatable of this new shape direction, allowing everyone from Junior to Contemporary designers to implement. Expect to see peplums for Holiday on cocktail dresses and skirts as we expect to see this trend hitting and dominating the red carpets this summer.